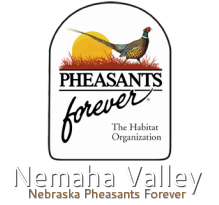 This page describes a new option available for landowners that are available through funding from Quail Forever, the Nebraska Environmental Trust and the Nebraska Game & Parks Commission. This new habitat program offers more incentives to establish highly diverse wildlife mixtures on cropland as well as incentives for public access. Please Note – the focus of this grant is to provide incentives for better wildlife habitat and provide public access on projects in this area. Up to $5 per acre/year (for up to 5 years) for providing public access. Eligible lands include those enrolled in a conservation program that restores or manages wildlife habitat on cropland. Examples include: CREP, CRP, CCRP, EQIP or other conservation programs. By “other conservation program”, this can include almost any type of agreement that is put together with the landowner. Examples can include local PF & QF chapter projects, NRD projects, etc. $1 per acre/year (for up to 5 years) for providing public access on incidental lands. Eligible lands would include those that are adjacent to or part of the conservation program lands listed in option #1 above. $25 per acre one-time incentive or “bonus” payment for enrolling new cropland acres in a conservation program. The incentive payment would be to plant a highly diverse mixture of grasses, legumes and forbs that are designed by a wildlife biologist to maximize the wildlife benefits on the enrolled land. This practice needs to be applied to cropland that is converted to wildlife habitat and public access is not required. The highly diverse mixtures approved for incentive payments will be those that are designed to include a PLS seeding rate that is >50% forbs, contains >20 species and generally follows the guidelines associated with the CP38 program and mixtures in the Pheasants Forever Habitat Guide and Seed Mixture Catalogue. CP38 – SAFE projects: offering additional incentives to get landowners to enroll and then plant the most highly diverse wildlife mixtures possible. Platte Republican CREP: encouraging additional enrollment in the program with these additional cost share incentives. Enrolling existing CRP into new CRP-MAP contracts: this is a new, additional pool of funding that can be used to enroll CRP-MAP contracts. Enrolling EQIP projects into public access: a new offer for landowners in the eligible counties to consider public access on their lands. Enroll public access on other Conservation Programs lands: Examples can now include Corners for Wildlife projects, NRD projects, Wheat Stubble program, etc.